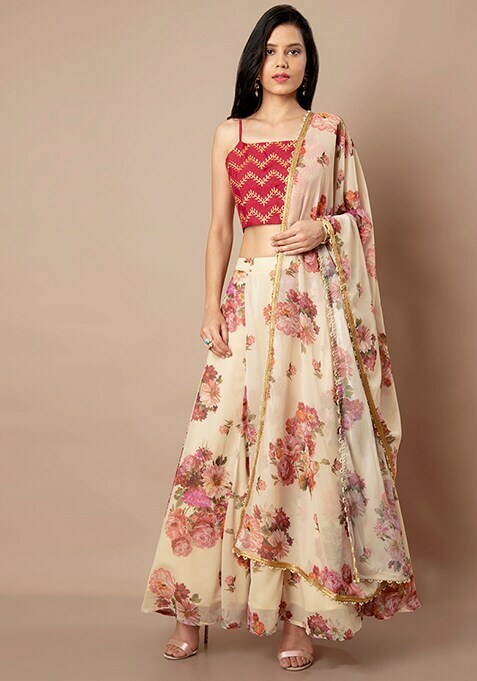 Spellbind everyone with your irresistible charm draped in this ivory floral dupatta. Crafted using soft quality georgette, this dupatta has floral print and gold lace trims. Work It: Style this dupatta with a matching skirt and top to complete your party look.